Your visitors spend months dreaming about their vacation. They research online, they see promotional material on websites, they read reviews, they plan, and they book. After weeks of increasing anticipation, they finally get on the plane, train, or car and try to have the experience they’ve been waiting for. Will expectations match reality? Every destination marketer should hope so. When visitors are disappointed, you’ll know about it, and so will everyone else, thanks social media, forums, review sites, blogs – any outlet for public outcry. The most valuable asset your destination can build is trust. Trust is about more than a short-term sale. Telling potential visitors what they want to hear may seem like the safest, easiest way to attract bookings, but in the long run, visitors will discover the real value they get for their investment. Mincing words or trying to build a larger-than-life image can do more damage than good. Simply promising what you can deliver – and delivering what you promise – is a much more effective way to inspire your fans’ trust and loyalty. Honesty is not merely a more powerful marketing tactic. It is simply the only thing that really works when you want to attract the right visitors. Your destination probably needs repeat guests as part of its business model. It’s no different in destination marketing. People often value a comfortable experience with a brand they can trust more than they value a product’s features. Uncovering and defining a destination’s identity, or DNA, ensures that a destination’s messaging and perceptions line up perfectly. Owning this honest identity will impact all visitor touch points, from branding to marketing to visitor servicing. What does it look like when destinations build trust? 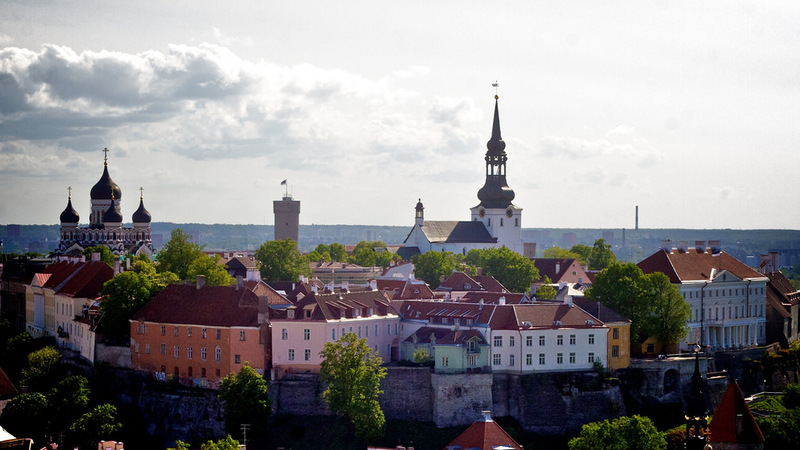 Brand Estonia develops its messaging with honesty in order to build trust. Its brand communication acknowledges both positive and negative influences on the country’s brand, saying, “we have the largest gender pay gap in the EU, sky-high CO2 emissions and high alcohol consumption. […] Let’s be open and honest about those too.” Admitting your destination’s flaws indicates that you are open, working to improve, and mitigates visitor expectations, which increases visitor trust. In the end, this is about responsibility. When mistakes happen, ignoring or disguising them will not help anyone. Destinations that combine honesty with a little humour make even more appealing combination. Have you ever been to a travel fair? It’s a little scary sometimes. Every destination seems to exude happiness, but in a way that takes itself far too seriously. These shiny, happy faces can come off as inauthentic, and visitors can smell it. Other national organizations have also found a way to play with humour. Consider this ad for the Australian lamb industry that plays to the nation’s laid-back reputation by recognizing Australia Day with an epic story that tells a story about migration, while even indulging in a political comment at the end: “We are all boat people.” Is it perfect? No. Controversial? Certainly. But it is an honest approach to humour. And of course, we remember the amusing Twitter fight between Sweden and Denmark. These two place brands engaged potential visitors by offering something valuable that everyone needs – a good laugh. By combining honesty and humour, destinations can build even more value for their visitors by educating them. This is more than a trend, it’s logical. As destinations find that expectation management is key as digital word of mouth becomes ever more important in tourism, educational messaging helps a place to balance the expectations from travellers. Education during the trip planning phase of the customer journey helps manage visitor expectations, provide service, and increase trust. Educated visitors are more likely to trust your destination because they receive what they expect. Galapagos Conservancy – This page helps travellers plan a trip while educating them about sustainability. Inspired by Iceland – The Iceland Academy will teach you how to stay safe when travelling, how to “pack warm and stay happy,” and also “how to avoid hot tub awkwardness.” A must watch. Visit London – The DMO created this video to help shoppers find the least congested times to travel. I amsterdam (Amsterdam Marketing) – This funny and useful guide to cycling helps visitors avoid the dangers of Amsterdam streets. Palau Visitors Authority – Nanae Singeo talks about the island destination’s strategic plan to educate both residents and visitors to build healthier expectations and behaviours that will help the DMO better manage tourism. The marketing messages your destination creates today will determine tomorrow’s visitor satisfaction. Visitors will reveal your destination’s authentic story whether you do or not. You may as well go first. What is your destination marketing organization (DMO) doing to earn trust? Related reading: Imagine your visitor centre, times 1000. Here’s how Shuswap Tourism enhanced local tourism advocacy. Worried about losing visitor trust? Destination Think! can assist. We help destinations articulate and align their messaging and provide optimum visitor servicing so that travellers arrive with the right expectations and share the stories you need them to tell. Contact us to find out how we can support your DMO.